As owners and operators of GrassRoots Pork Company, Jeremiah and Jessica Jones raise Certified Animal Welfare Approved by A Greener World (AGW) and Certified Non-GMO by AGW pigs outdoors on pasture or range in Beulaville, North Carolina. Jeremiah has a long history of farming and has earned multiple degrees at NC State University’s College of Agriculture and Life Sciences. Jeremiah is also the president of the North Carolina Natural Hog Growers Association (NCNHGA), a well-established group of farmers dedicated to high-welfare, sustainable pig production. 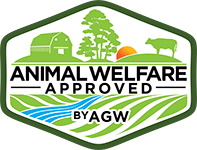 In an effort to maintain high-quality and high-welfare husbandry standards, all members of the NCNHGA must achieve Certified Animal Welfare Approved by AGW status. AGW certification is also a way to add value to group marketing efforts, as potential customers can be assured that every pig raised by NCNHGA member-farmers is raised outdoors on pasture or range without the use of subtherapeutic antibiotics or beta-agonist growth promoters widely used in industrial pig farming. At GrassRoots Pork Company, the herd of pigs have room to roam and demonstrate natural behaviors, like rooting, grazing and exploring with their snouts. They are regularly moved to fresh ground to avoid the build-up of disease and parasites. Ensuring animals have continual access to pasture or range is a fundamental component of AGW’s farm standards. Research shows this type of pasture-based management results in better animal health, environmental health, and human health—as well as producing delicious pork! 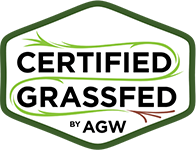 In addition to managing Certified Animal Welfare Approved by AGW and Certified Non-GMO by AGW pigs, Jeremiah and Jessica also raise Certified Animal Welfare Approved by AGW laying hens outdoors on pasture and range. Pasture-based management not only provides the highest welfare conditions for the hens, but also produces healthier eggs containing three times as much vitamin E, seven times more beta-carotene, and twice the omega-3 fatty acids as industrial eggs. And according to customers the eggs are much tastier, too! Jessica and Jeremiah chose to pursue AGW certification because it was an important component of their direct marketing strategy: “It gives our customers real proof of what they’re buying,” Jeremiah explains. 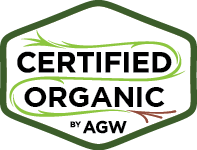 Certified Animal Welfare Approved by AGW and Certified Non-GMO by AGW products from GrassRoots Pork Company are available directly to customers through local retail outlets, as well as through the North Carolina Natural Hog Growers Association (NCNHGA). 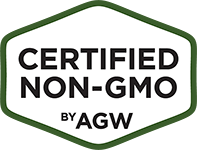 Certified Animal Welfare Approved by AGW and Certified Non-GMO by AGW pork from the NCNHGA is available at numerous restaurants, regional Whole Foods Markets and other retail outlets across NC—and beyond. For more information, check the AGW directory.